Ivan and Erica Roman, and their three boys Isaiah, Aren and Ezra all reside in Medford, Oregon. They serve as senior leaders of a joy-filled church called Empowered Life Church. Ivan has a passion to raise up healthy leaders that equip the saints. Ivan and Erica have also traveled around the world for the last two decades demonstrating the power of God through prophetic ministry and signs and wonders following. 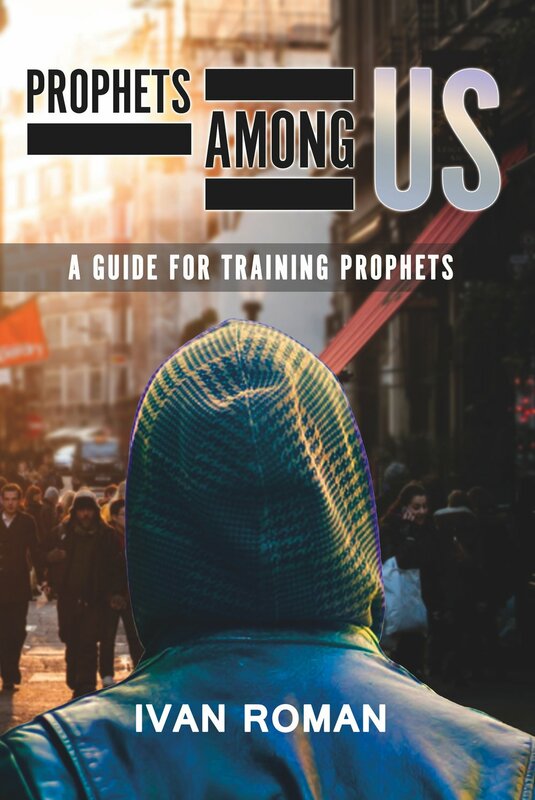 Prophets Among Us: A Guide for Training Prophets, is an exhaustive training manual for those called to be prophets and prophetic types in subjects such as; Understanding the Function of the New Covenant Prophet, Different Types of Prophets, and Keys to Developing Your Prophetic Gift. In Prophets Among Us, Ivan Roman hits it out of the park. With personal story after personal story, Ivan brings out how God chased him down with the supernatural. In the same way, God is after you because he wants to talk and have relationship with you. You’re going to love the “fireside chat” style as Ivan weaves great illustrations and stories together to teach in an easy-to-understand way all about how modern-day prophets and prophecy work. Get yourself a copy and buy one for a friend while you’re at it! Interviews with Shawn Bolz, author of Translating God and God's Secrets, and Patricia King, founder of XP Media included. This Workbook is purposefully designed to activate and bring a deeper understanding of the prophetic. Accompanied with the ‘The Heart of the Prophetic’, this workbook is perfect for training individuals and groups that have a desire to have a greater revelation of God’s heart and the prophetic. Ivan takes you on a journey that will unlock your ability to hear God’s voice, and with this workbook you are given questions and activations to help guide and equip you. Also included is a bonus ‘The Heart of the Prophetic Journal’, so that you can take what you are learning directly into an encounter with the voice of God. Ivan’s knowledge and experience in the prophetic will help you and your church go to the next level in hearing the voice of God. God is speaking... How are we posturing our hearts to hear God's message to us.